Thanksgiving is a time for family, reminiscing, and of course a feast featuring the star of the holiday: turkey. While the adults are busy making toasts and catching up, let the kids gobble up some fun with Thanksgiving crafts for kids! 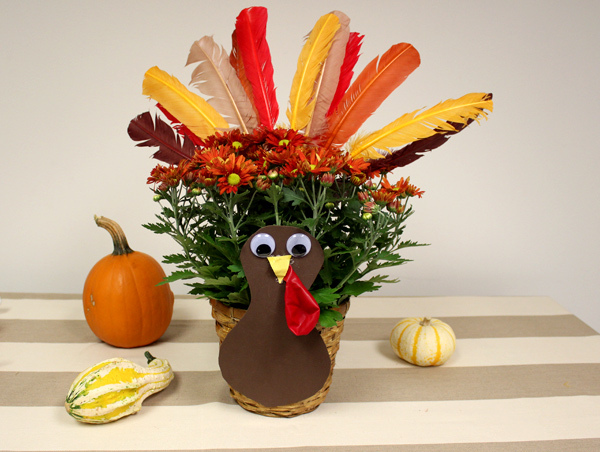 Set up a crafting station where the children can turn potted plants into festive and fun turkey with this simple idea. You can choose to decorate an existing potted plant or use this craft to decorate brown ceramic pots which you can then fill with your favorite fall flowers (we used mums). Be sure to alter the size of your feathers and turkey body to reflect the size of your arrangement. 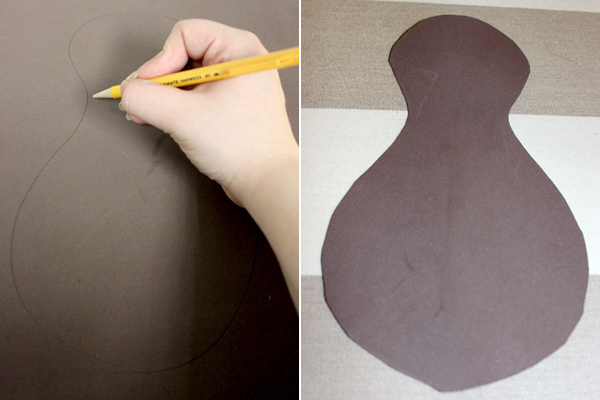 To make the turkey body, first cut out a turkey body shape (similar to a peanut) out of the brown foam. Glue the googly eyes to the top of the head. 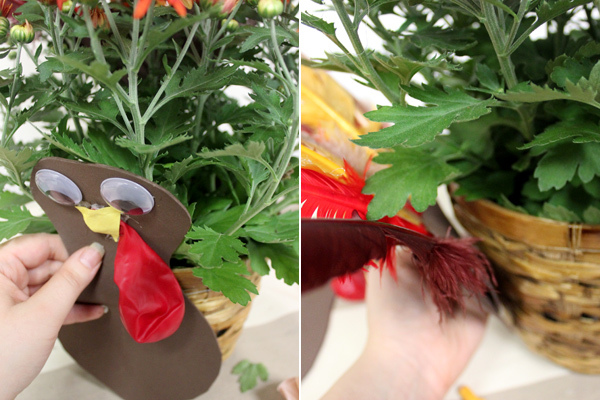 Then, attach the red balloon using glue in the middle of the head area – this will serve as the wattle. 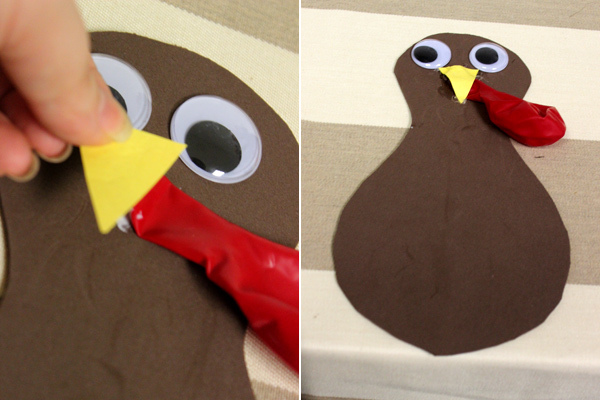 Cut out a small triangle from the yellow construction paper and glue on top of the red balloon for the beak. Set the turkey body aside to dry. Next, it’s time to decorate with feathers! Cut 2 large triangle out of the remaining brown foam. 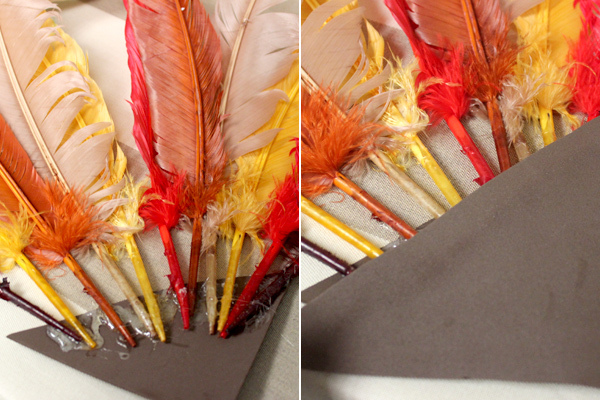 Then, use glue to attach the feathers to one of the foam triangles in a straight row. Once you’re satisfied with how the feathers look, take the second triangle to “sandwich” the feathers between the foam (and hide the glue). Hold for 3-5 seconds to secure, then glue the triangle to the back of the pot. Now your turkey is ready for showing off!